It might not be looking like we’re going to get the snowfall that was predicted in Nashville, but we’re locking down here all the same, in part to stay off icy roads, in part because we can’t deny a good excuse to curl up by the fireplace. We’re certainly not alone there — homebuyers and homeowners love fireplaces, and there’s lots of data to back that up. A survey of homebuyers showed that more than 40 percent were willing to pay more for a home with a fireplace. And in a survey of Realtors across the country, 68 percent saw a fireplace as increasing a home’s value. If just about everyone knows the warm-and-snuggly draw of a gas or wood fireplace, though, there’s still a lot that homeowners and buyers often don’t know. Say, that fireplaces do require consistent upkeep and attention, and some long-held and broad assumptions about them just aren’t really accurate. 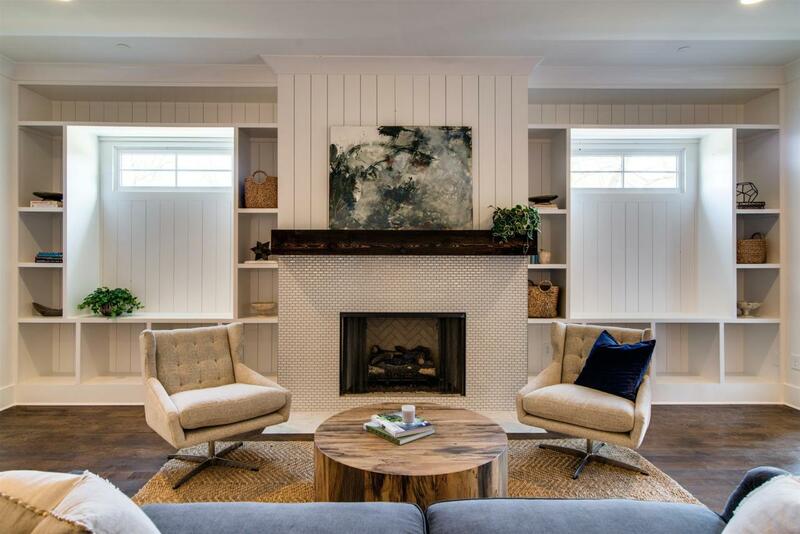 If you’re new to owning a fireplace — or you’re thinking about buying a home in Nashville with one (or two or three), here are just a few things we think are worth knowing. Listing this first, because it’s massively important. If you have a gas fireplace, you can go a little longer with cleaning appointments, since you’re not worrying so much about creosote, a flammable build-up that develops over use and time in a wood-burning fireplace’s chimney. Left unchecked, creosote affects your chimney’s ability to vent harmful gases, and can cause a chimney fire. Inspections are hugely important, and best done every fall before you start lighting up the fireplace again. Chimney pros can make sure you don’t have any cracks or gaps in your flu (potential fire and carbon monoxide dangers), that you’re safe from moisture intrusion (which can lead to big repair bills, and worsen quickly), and that everything’s working properly and safely. Homeowners defer all kinds of maintenance, often out of forgetfulness. But this is something you sincerely shouldn’t defer. Make it an annual fall tradition. If everyone loves fireplaces, why hide yours? It’s surprising how many homeowners crowd out the area around (or in front of) the fireplace, tamping down one of their home’s best design attributes. If you give it the space it deserves, it can anchor and elevate your space. This doesn’t necessarily mean removing/replacing the mantel if it’s not 100 percent your style (though that’s always an option that can make a big pop). But giving your mantel some decor attention — layering incidental pieces that beam your personality — is worth it. Here are a few good suggestions from Architectural Digest that’ll get you focused in a good direction with palettes, shapes and sizes. It might be tempting to do away with the big branches that fell in the fall by tossing them in the firebox, but wood that has any moisture in it makes for a smoky, potentially dangerous fireplace experience. It can stain and damage your surround, create more creosote and make your home stink. It takes a least a year for wood to season (dry properly), so if you have somewhere dry and covered to let those logs sit, hold on to them for next year. Otherwise, buying seasoned wood is your best bet. Same goes for random stuff you might think about trashing by burning — things like plastic or painted wood give off fumes when burnt that are terrible to breathe in, and terrible for your fireplace and chimney. This design choice is incredibly common and incredibly popular, but more and more, cautioned against. A few reasons pros recommend you avoid hanging your flat-screen above the fireplace: rising heat and smoke don’t help your expensive electronics; and hanging the screen too high (largely unavoidable, above a fireplace) can strain your neck muscles and lead to health issues. If you have a modern, exceptionally well-vented gas fireplace, the heat/smoke concerns are less worrisome than an original wood-burning fireplace in a historic Nashville home might be. But it’s still worth considering, if there are any other options you can choose. Sure, it’s not as warm and snuggly, but non-working fireplaces can be gorgeous design focal points all the same. 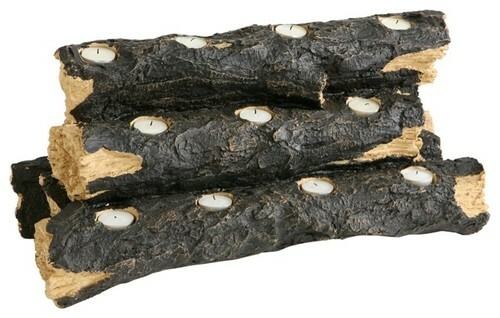 You can place anything from candles to a tea light fireplace log like the one pictured above to bring the cozy fireside vibes, or go more left-of-center by using it for decorative book or wine storage, like Elle Decor suggests. Is a fireplace on your must-have list while you’re hunting for a new Nashville home? For starters, here’s a rundown of homes on the market in Nashville now with at least one fireplace. Let us know if we can help you track your dream home down — reach ACRE here. Or, for an easy way to start your Nashville househunting process, fill out this quick form.